Some personality types are reliably more happy after getting married. Introverted women are more satisfied with life for longer after marriage, research finds. However, men who are introverted gain the least in the long-term from being married, with extraverted men gaining the most from marriage. Introverted men were actually less happy, on average, after getting married than men who had never married. These personality trends are a fascinating kink in the orthodox view of marriage’s effect on happiness. Normally, people feel happier for a period before and after getting married, but this fades away after a couple of years — they may even feel worse than before marriage. But earlier studies didn’t take into account personality. 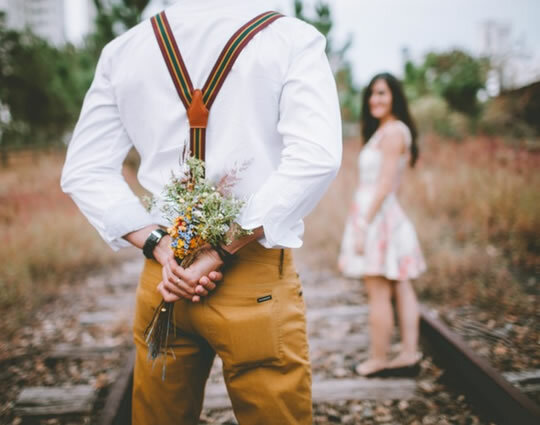 Along with the findings for extraversion, the study also discovered that conscientious women were more satisfied with life after marriage than those who were less conscientious. Conscientious people are disciplined, dutiful and good at planning ahead. “Such a result might be explained by the tendency for conscientious individuals to place more value on relationship goals and therefore conscientious individuals may strive harder to ensure success. Why this should not also be true for conscientious men is not clear, although it could be down to men and women having different relationship goals. The results come from a German survey that followed 2,015 people over eight years. In this time, 468 got married for the first time and stayed that way until the end of the study. Tracking their happiness, the researchers found that it followed the usual trend. People got happier as they were about to get married, but then this faded away in the year or two after the big day. “Whilst all men experience a pre-marital increase in their life satisfaction, men that are extraverted seem to experience longer-term benefits to their life satisfaction during marriage. The study was published in the journal Personality and Individual Differences (Boyce et al., 2016).